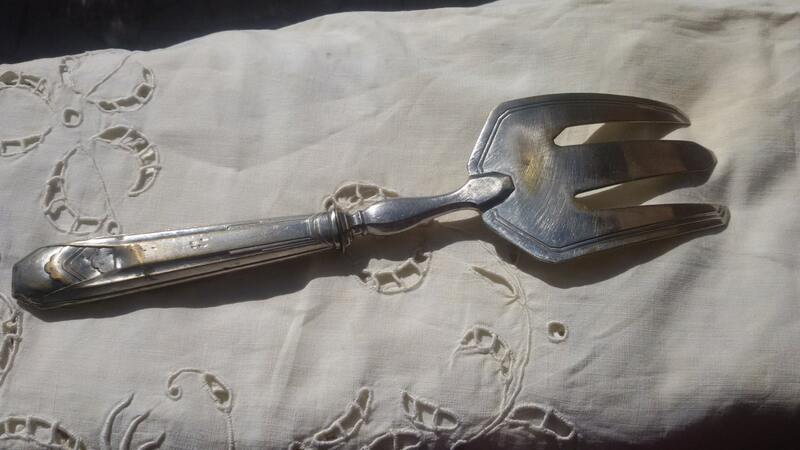 Gorgeous French Art Deco cake server fork. Geometrical Design . 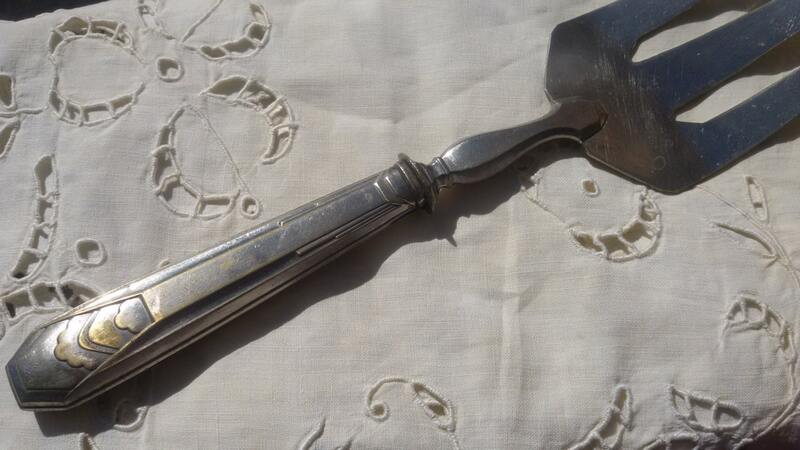 Vintage French silver plated flatware. 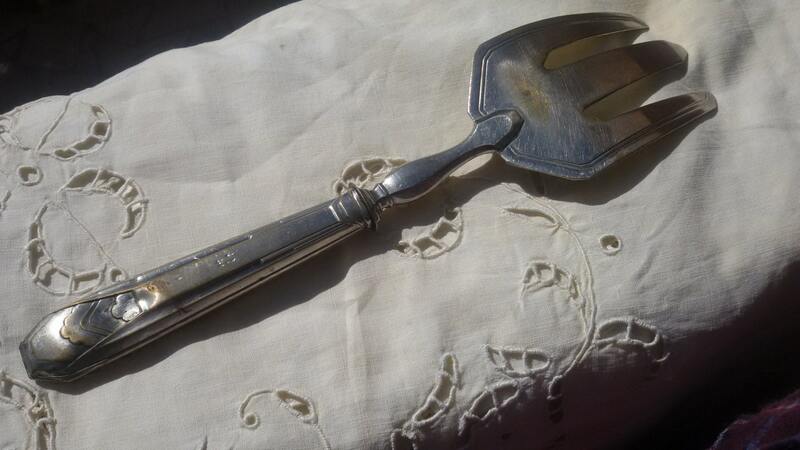 Good vintage condition , the handle's end is a bit bumped on the reverse. 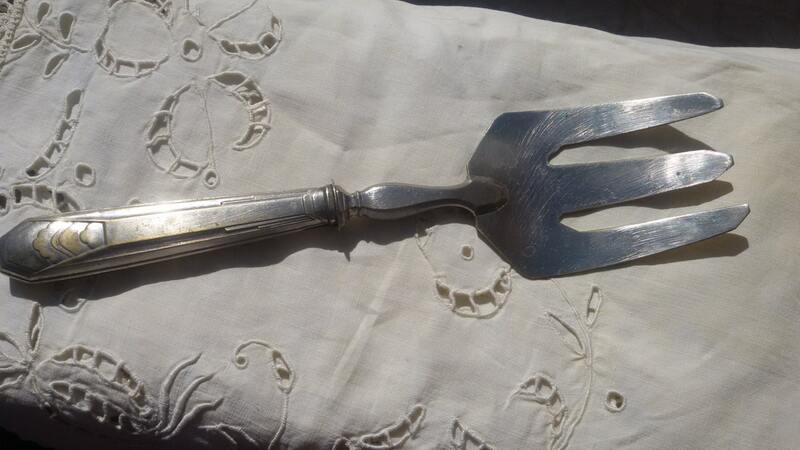 Beautiful cake server fork and very typical Art Deco design handle !